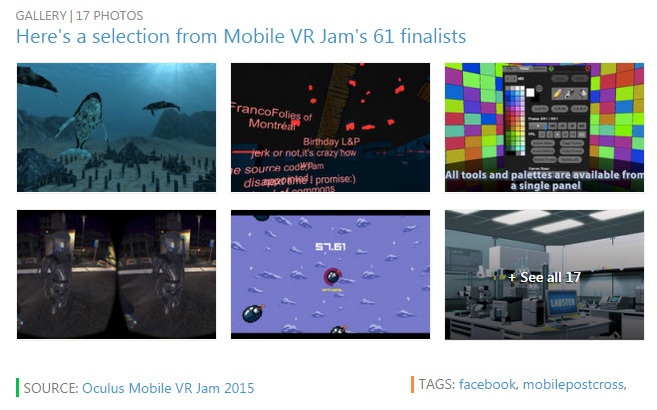 Circumpaint is a Finalist in the GearVR Mobile Jam! 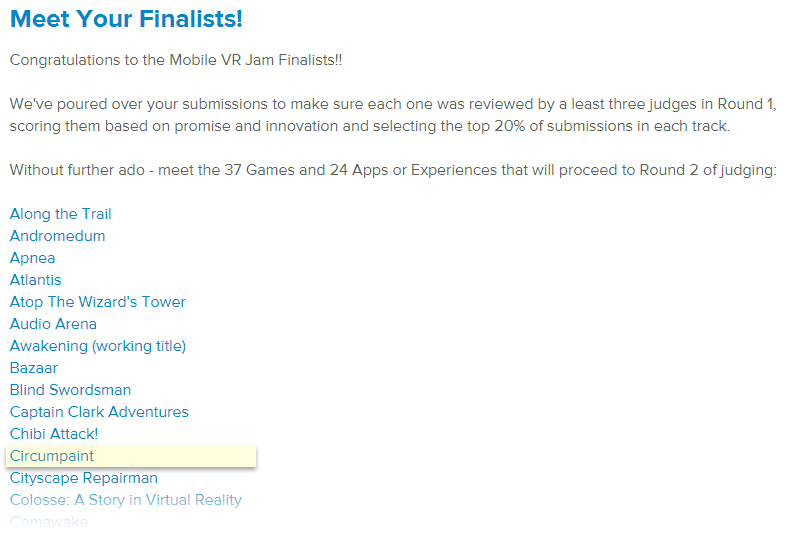 Circumpaint, my GearVR Mobile Jam app entry, has made it through to the finalist stage. Yay! Out of the original 122 app/experience entries, 24 made it through to the final judging. 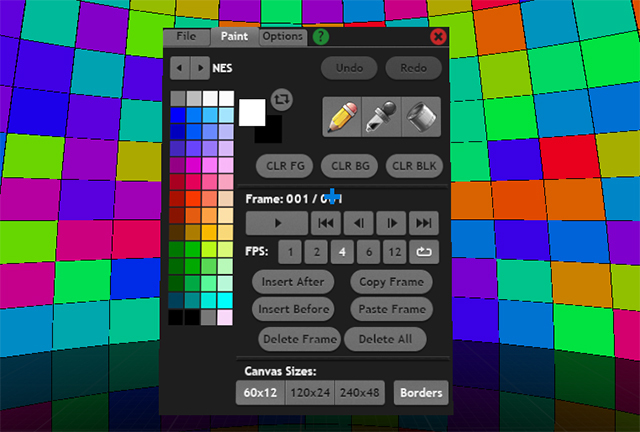 A look at the dome you paint on, and the user interface. This is the lowest resolution for the dome. 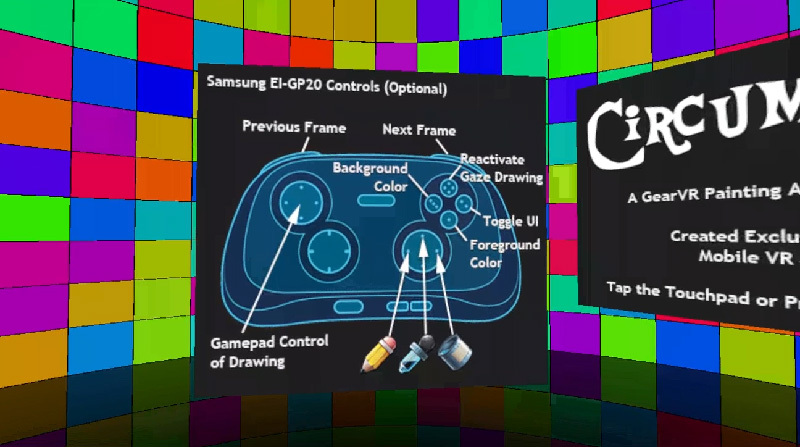 Circumpaint supports both the GearVR touchpad and back button, as well as the Samsung EI-GP20 controller. Using the controller provides a number of painting shortcuts. The Paint tab provides everything you need to paint and animate. From here you may also change the dome’s resolution at any time. Two images created within Circumpaint, flattened out into image stripes. The left one was created at the lowest resolution using the C64 palette. The right one was created at the highest resolution using the N64 palette. Within Circumpaint these images surround you, and you turn your head to to check out all of the details. 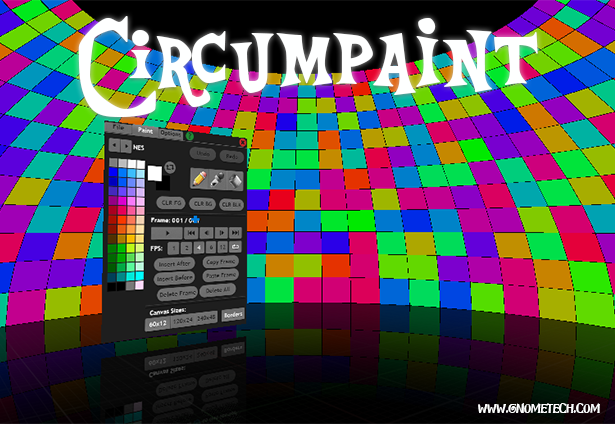 For the last three weeks I have been working on an application for the GearVR Mobile VR Jam, titled Circumpaint. This app allows you to draw and animated in 360 degrees on the surface on a dome, with you at its center.